Urbanization, digitization and globalization are the three forces whose convergence will shape the 21st-century economy. Consequently, Southeast Asia is set to be central to the trends that emerge out of this convergence. The evidence can already be seen in the history of mobile money: although the ‘success stories’ of mobile payments are most commonly associated with Africa, the history of mobile money can be traced back to the Philippines and the launch of Smart Communications’ SmartMoney at the turn of the millennium. The region is rife with innovation and ripe for growth: the countries making up the Association of Southeast Asian Nations (ASEAN) saw their share of Asia’s total financial wealth grow from 5% in 2005 to 8% just 8 years later. While the size of China’s economy grabs most of the headlines, HSBC expects growth in the financial assets of Indonesia, Malaysia, Thailand, the Philippines and Vietnam to outstrip that of their large northern neighbor over the next five years. The diversity across the region is difficult to imagine: ranging from the high-tech financial hub of Singapore to Cambodia and Myanmar, whose economies are at much earlier stages of development and where even the most very basic infrastructure is often found wanting. While in some regards this poses significant challenges, it also presents these economies with opportunities to experiment with new technologies or policy approaches, the rewards for success in which will be much greater as a direct result of a low starting point. And yet, even within some regional economies there exist such disparities of wealth, financial inclusion and consumer behavior that a sophisticated and segmented approach to each market is required, which is to say nothing of cultural, linguistic and other factors that need to be considered. At 98%, Singapore (which will host Mondato Summit Asia in November) has one of the highest financial inclusion rates in the world. It is no surprise therefore that bank-led mobile offerings are at the forefront of MFS in the tiny island-nation, and healthy competition between banks and MNOs means that thereis a wide variety of mobile money services available to Singaporean consumers. Leading MNO SingTel has partnered with Standard Chartered Bank to offer a smartphone application called Dash, which is linked to Standard Chartered Savings accounts and allows downloads into a mobile wallet. The wallet can be used to make P2P payments via the phone’s contact list (similar to the UK’s Paym), or by “swiping” money to a friend’s phone “using patent-pending technology that mimicks physical cash transfer”. Dash can also be used to make NFC-based payments, apply for loans or to purchase travel insurance. The product will be up against competition from the likes of DBS’s PayLah! 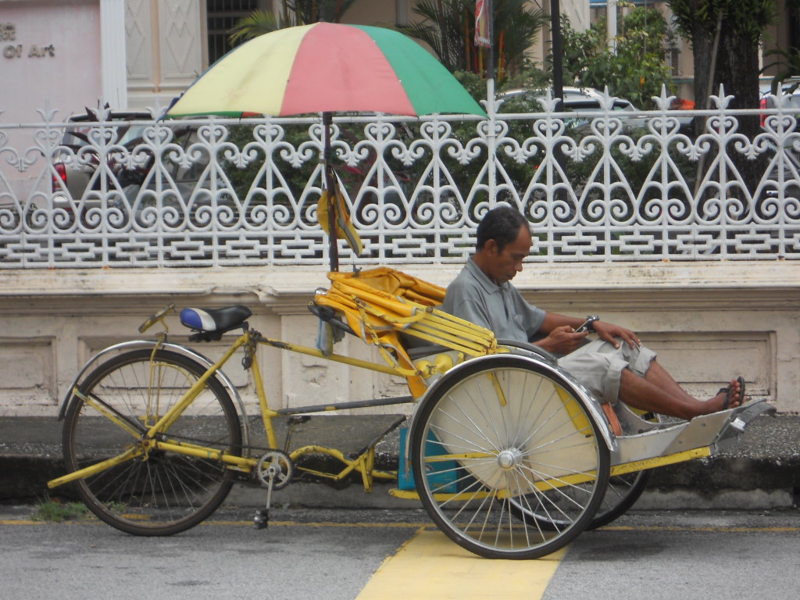 mobile wallet, and Maybank‘s mobile money service. Clearly, other economies in the region do not have the advanced level of technological and financial access that Singapore does. Nonetheless, the mobile financial services industry across the region has significant potential. Thailand, for example, has 72% banking penetration, but only 5% of the 16 and over population is in possession of credit cards. Yet the country, like almost all in the region, has mobile phone penetration of over 100%. It is in this environment that True Money, for example, operates. Launched in 2005, True Group’s True Money is used by approximately 6 million customers and processes 120 million transactions per year. It represents a significant departure from much of the received knowledge about how a mobile money service gets to scale, as it is primarily a payments offering that has successfully leveraged its parent conglomerate’s resources to meet a demand in the market. Cambodia, on the other hand, starting from a much lower economic base, has seen the successful deployment of Wing, a P2P money transfer service that also allows airtime top-up facilities across 9 mobile networks, as well as a prepaid Visa CashCard and bill payment services. Initially conceived primarily as a P2P remittances service, Wing’s initial success was largely attributable to its airtime top-up offering. In recent years, however, the original conceptualization has been realized, and the company transferred close to US$1 billion in 2013, in an economy whose GDP is only around US$17 billion, or barely $1100 per capita. Standing in stark contrast to Cambodia is Indonesia, a country with a population of 240,000,000. However, its mobile phone subscriptions have yet to reach saturation, it has only 20% banking penetration, and the percentage of the population that makes mobile payments is in the low single digits. As a member of the G20 and the world’s third largest democracy, it dwarfs all the other economies in the region, yet MFS has failed to take off in any significant fashion. Social media, however, could well be the key to cracking the Indonesian nut: it is the world’s third most active Twitter market and has the fourth largest Facebook usership. When added on top of these factors, the nation’s challenging geography – over 6,000 inhabited islands – creates an environment in which MFS offers massive potential, if only the regulatory and other hurdles that exist can be overcome. Given the size of Indonesia and its economy, whether that can be achieved could have regional as well as national implications. Neighboring Malaysia, on the other hand, has one of the highest mobile penetration rates in the region (140%). Over two-thirds of Malaysians possess a bank account, which is just slightly more than have internet access, and smartphones look set to surpass feature phones by next year. The country is both a significant sender and receiver of remittances, and mobile wallets are a standard feature of MNO offerings in the country, but they compete in an environment which, while enabling, already has high levels of financial inclusion. Malaysia has extremely high levels of 4G network coverage (over 96%), and its mobile internet users spend more time online per day, over 3 hours, than anyone else in the region. Like Indonesians, Malaysians are big users of social media mobile entertainment and online shopping, though only 0.3% of transactions are m-payments. Offerings with the right value proposition have a huge addressable market in Malaysia to tap into. Vietnam has the second highest mobile subscription rate in the region, second only to Singapore, at around 150%, yet only 20% of its population is served by access to banks, making it a market in which mobile money offers significant potential. The country’s largest pre-paid airtime distribution network, mService, introduced a single SIM card for agents which held inventory for all the MNOs in the country, reducing agents’ working capital and allowing them to operate across all networks with using only one handset. mService later partnered with one of the country’s largest MNOs, Vinaphone, to offer a mobile money service, MoMo. Initially the State Bank of Vietnam only permitted banks to do cash-in and cash-out, meaning the service was of limited application to the unbanked. However, new regulations issued last year mean that MoMo is now in a position to build an ecosystem to offer mobile money to the unbanked. As Paul Leishman, COO of Coda Payments, a mobile payments start-up based in Jakarta, recently stated, Chinese hardware manufacturers in particular are driving down the cost of smartphones and making them accessible to market segments for whom until very recently such technology was out of reach. Mozilla recently announced the launch of its $25 smartphone, produced in partnership with Chinese chip manufacturer Spreadtrum. Telcos, Mr. Leishman also pointed out, were keen to tap into the demand for mobile internet access across the region and were rapidly bringing down the price of data packages. These two factors combined mean that within a few years tens of millions of mostly young consumers across Southeast Asia will be online via the mobile channel, consuming digital content and making online purchases. Myanmar is an unlikely example of this phenomenon. The impoverished nation is making an uneasy transition from military dictatorship to some form of democracy, and boasts a mobile penetration rate of only 10%. However, among Myanmar’s mobile users it has been suggested that a remarkable 95% are smartphone users. It is a market where it is entirely conceivable that mobile penetration and smartphone usage advance hand-in-hand, holding out the potential that in a relatively short period of time Myanmar could become the most advanced mobile internet economy in the region, against a backdrop of extremely low levels of financial inclusion. The country represents something of a blank slate in terms of usage habits and legacy phones, and presents the tantalizing prospect of reaching scale in products that may have failed elsewhere due to lack of consumer demand or which demanded too radical a change in consumer behavior to be natural or to become habitual. It is definitely the hottest place in MFS at the moment. Over the next four months Mondato Insight will be examining a number of these Southeast Asian markets countries in more detail, in order to dissect the difficulties and highlight the opportunities that exist in this extraordinarily diverse region. While Africa continues to steal most of the headlines in the world of mobile money, Southeast Asia stands poised to be in a position to teach lessons to both London and Lesotho in how to take MFS to the next level as the 21st century progresses. ©Mondato 2014. Mondato is a boutique management consultancy specializing in strategic, commercial and operational support for the Mobile Financial Services (MFS) industry. With an unparalleled team of dedicated MFS professionals and a global network of industry contacts, Mondato has the depth of experience to provide high-impact, hands-on support for clients across the MFS ecosystem, including service providers, banks, telcos, technology firms, merchants and investors. Our weekly newsletters are the go-to source of news and analysis in the MFS industry. Amazon Is Indeed Relentless: What Does It Mean For Payments?